A solid wood deck is still the classic favorite for most homeowners, but building a wood deck on a rooftop often seems somewhat of a challenge. Generally the building owner will not permit permanent structures to be installed on the rooftop, and very often you’ll have problems in bringing large beams for foundations up to the roof top level. So what’s the solution? 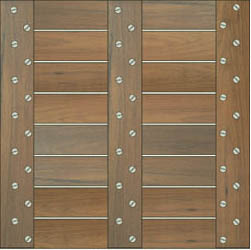 Archatrak Ipe wood decking tiles are solid wood structural tiles which can be laid over a pedestal system. The pedestal system completely eliminates the need for any bearers, sleepers or other heavy structural components. Pedestals are placed in a grid layout at 24″ centers over the entire roof top area. Then the pedestals are adjusted to the height required by screwing the central columns up or down to create a perfectly level deck surface. The 2′ x 2′ Ipe wood tiles are simply laid over the top of the pedestals, supported on each corner only. The head of the pedestals incorporates inbuilt spacer tabs to locate the tiles accurately and perfectly aligned on the heads. We recommend the Eterno range of pedestals which you can see here due to their ease of installation and the economical cost. One problem you may have in certain urban regions is that local authorities are now restricting the use of wood products for decking, even though Ipe wood is generally regarded as having Class A fire rating. But if you really want a wood look, there’s still a possible solution. We also supply porcelain pavers in styles that look like wood, complete with knots, marks, grain structure and variation of color. These tiles are available in either 8′ x 1′ plank style or 2′ x 2′ slabs and one of the best features is that they are completely fireproof, stain resistant, scratch resistant and fade resistant. If however you are looking for wood deck tiles to cover an existing concrete surface such as an old drab concrete patio and you don’t need to make the surface perfectly level, but are content to lay the tiles with the existing slope, we suggest using our 12″ x 12″ and 24″ x 12″ SwiftDeck interlocking wood tiles with their convenient clip together connection. 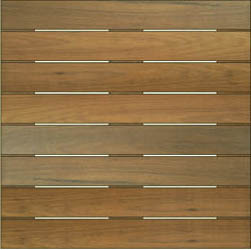 Ipe is widely recognized as one of the most durable, dense and hard wood species in the world and is exceptionally stable in terms of resistance to twisting and warping in most climatic regions. .
Standard tile size: 23 7/8″ x 23 7/8″ x 1 11/16″- constructed with 13/16″ Ipe wood slats attached to three wood support battens by stainless steel screws. Although we are able to supply larger Ipe structural tiles on special order, our preference is to only supply 24″ x 24″ (nom.) 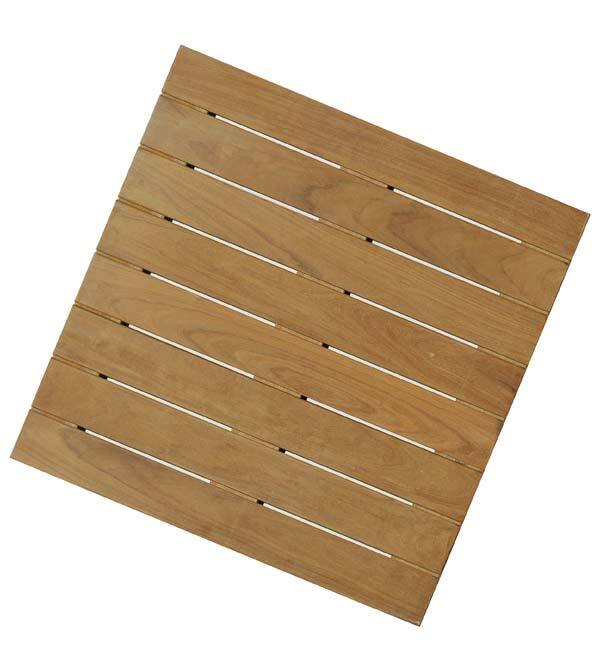 tiles because we believe that longer boards of any wood decking, despite how stable the wood species, could potentially give rise to problems in the future with some twisting or warping particularly in regions where humidity levels vary significantly throughout the year.